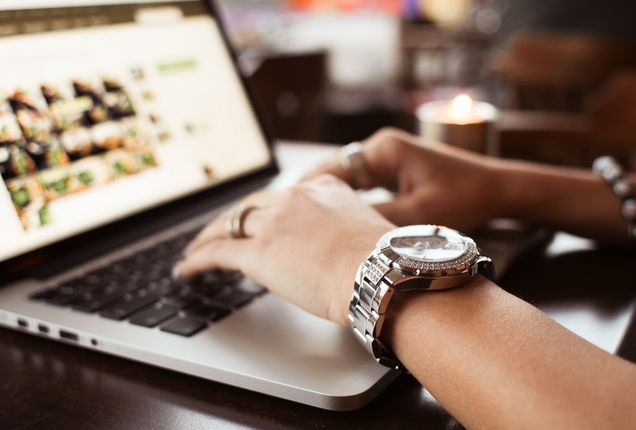 Although when wanting a Website for your business it is often best to contact a professional, there are circumstances in which it helps to know how to build your own website. This is usually best for personal websites or creating a mockup of a design for a website developer. 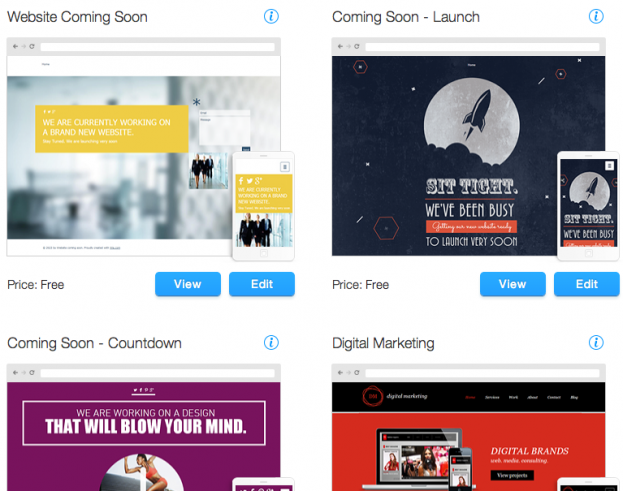 Three popular sites for building free websites are Google Sites, Yola, and Wix. Google Sites is an easy to use, what you see is what you get website builder. It is fairly limited but that can be expected with free website builders. You need a Google account to set up. Editing webpages is similar to WordPress and can therefore be done by any novice. 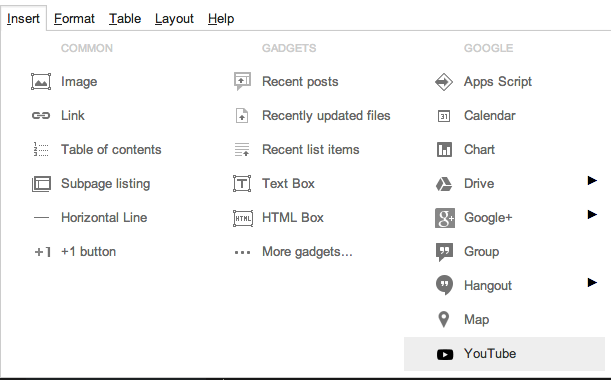 Perhaps the biggest point in Google sites favour is the range of media options. It is easy to embed videos, images, gadgets, calendars, maps, charts chats, drives and many others. Of course, most of these need to be accessed through content on your Google account. Wix is personally one of my favourites and here is why. Firstly it is incredibly easy to navigate as content is accessible through carefully laid out tabs. Secondly there are hundreds of templates available for all needs from exotic pet shops to digital strategy consultants. Also with Wix you can easily add an online store and customise it regionally. And finally, Wix is great for SEO- many apps are offered for novices to experts to help them improve search engine rankings. A downside about Wix is that if you really want to get the ball rolling you need to pay and it is not cheap. Another downside is it is difficult to customise completely as the templates don’t allow for much altering code or layout. Yola also allows users to quickly build websites. It seems to be the most centered around design and social media. It has many tools for mobile optimisation, marketing and social networking. It is fast and relatively simple but unfortunately the websites created are evident that they were created quickly and simply. So to sum up. 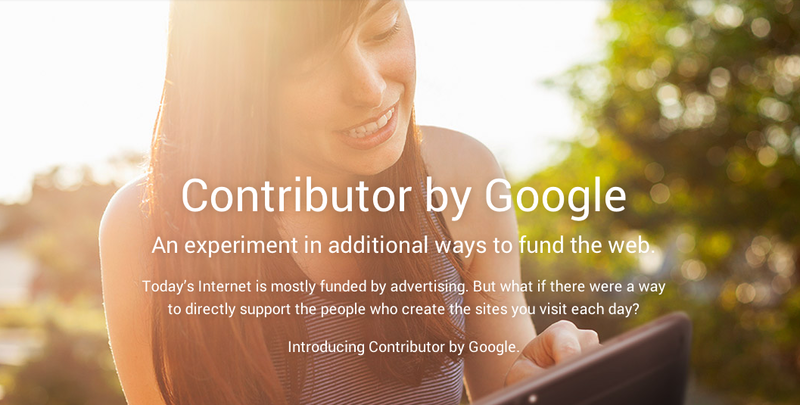 Google Sites: Easy to use, limited capabilities, great media options. Wix: Best choice in templates, plenty of SEO tools but has only limited customisation using code. 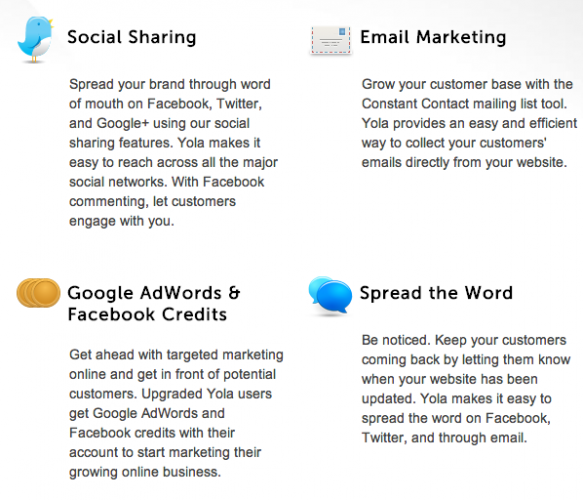 Yola: Great for getting noticed in search engines but can look fairly basic. Recent Advances in Social Commerce The New Age of Website Sliders The Easiest Way To Test Your Website In Internet Explorer 5, 7, 8 and 9 Google Program Allows Users to Block Ads Is Your Website Show Home Worthy?